Deep into the winter off-season, the four 2017 Trackbattle champions are enjoying the spoils of a successful season with a week of on-track training at the Bondurant Racing School, courtesy of our partners at Powerstop Brakes. Now is the perfect time to talk about what drives the competition at #Gridlife. 2017 saw the development of Trackbattle into a full 5 round racing series. In this inaugural year of the 5 round format, we saw roughly 25 drivers opt in for the full season campaign. With so many entries, drivers collectively raised the bar for the level of competition taking place within each class. Every class record for Gingerman raceway was re-set during the 2017 season. Consistently, we see that new class records can only come from talented drivers at the wheel of cars built to their full potential within the rules. To that end, we wanted to highlight the drivers and cars that were at the top of the podium at the end of the season. These builds should serve as a template for success for all of those considering a campaign in the 2018 Gridlife Trackbattle season. 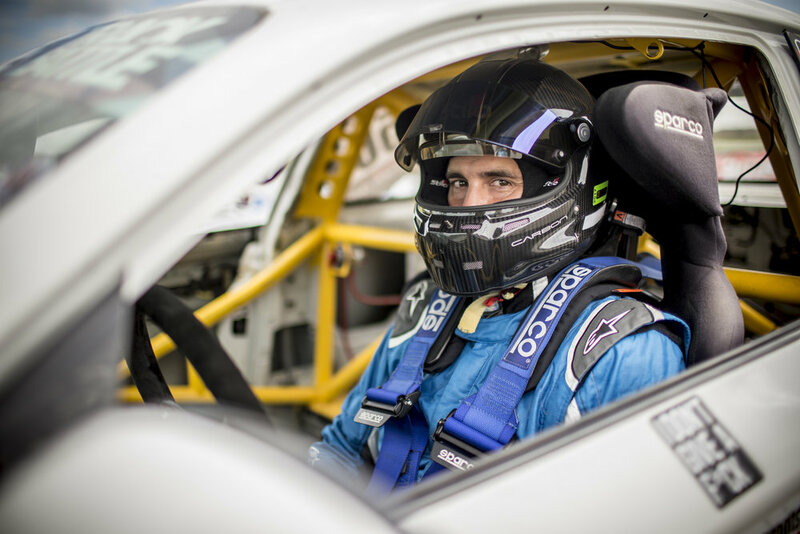 Charles "Spaz" Miller set a personal goal at the end of 2016, to come in ready to dominate the class beginning at Round 1 - Mid-Ohio. However, the HPDE+ class was highly contested in 2017. Competitors new to Gridlife brought the heat, and Spaz had no choice but to bring the performance. Battling Eric "Dewey" DeWitt all season was definitely good for tightening the nut behind the wheel, and Charles improved his personal best at Gingerman by 2.6 seconds compared to his time from 2016. 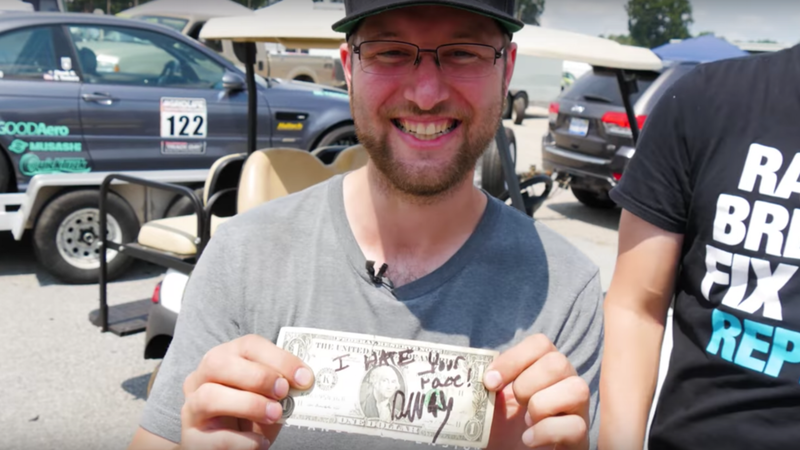 While not the winner at every event, consistent performance and a reliable car made for a consistent threat at every event, and once won him a signed dollar. Graham was new to Trackbattle in 2017, but that didn't stop him from a quick start. At Round 1, it was clear that a step-change had occurred in the Street Modified class when compared to the field of 2016. Great power, combined with some basic aerodynamic improvements proved to be an unbeatable combination for the year. Graham set SM-AWD records at every track, often by a second or more. The attention to detail on build quality really sets this car apart compared to many in the field. Every component has been meticulously pondered over, and only high end components were chosen. Nothing looks "racecar" quality, even all of the additional wiring to accommodate the trick fuel setup is close to OEM quality as you can get. Seeing this car in person really is the only way to truly appreciate the amount of work that went into it's preparation. In fact, Graham rarely had any mechanical difficulty during event weekends. To my memory, the first issue to speak of was at round 4. Some bolts/studs backed loose off of the turbo up-pipe and blew out the gasket to the turbo. Taking some time to find some parts for an easy repair, he was at the top of the podium again by the end of the weekend. At round 5, Graham's engine lost oil pressure in the infamous 7-8-9 complex. This set of corners has been an Achille's heel for other fast cars on street tires and has written off plenty of LS motors in the past. To address the possibility of failures in the future, Graham is hard at work this off-season installing a dry-sump system into the car. Probably a wise decision since I don't expect that his laptimes will be getting longer anytime soon. Graham's build is a great example of the potential of the turbo AWD platform in the Street Modified Class. While their may be some additional development opportunity within the rules, huge chunks of time will likely be difficult to find in 2018. Look for some additional aero development and weight reduction as keys to success this season. Tony Fuentes was another newcomer to Gridlife in 2017, but this isn't his first rodeo. Tony might spend more time at the racetrack than any other driver in our field. 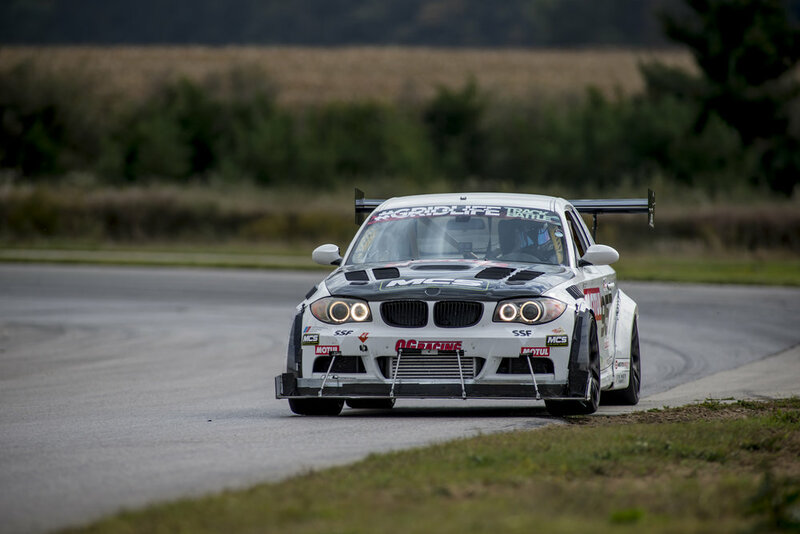 He and his team at SoloMotorsports brought out a new build to Round 1 Mid-Ohio. While the team was outmatched by a formidable effort by the V8 gang from southwest Ohio, consistent improvement throughout the season lead to impressively fast times in the Track Modified class for the remainder of the year. It seemed like every event, the team had something new that was being developed to create a better balance in performance on this highly affordable and accessible chassis. Impressively, the setup on this car is far from finished. 2017 used a stock long block with an EFR8374 turbo kit to make monster power with a touch of throttle input. In fact, it may have been this instant torque response that made this car so tricky to wheel around the track. 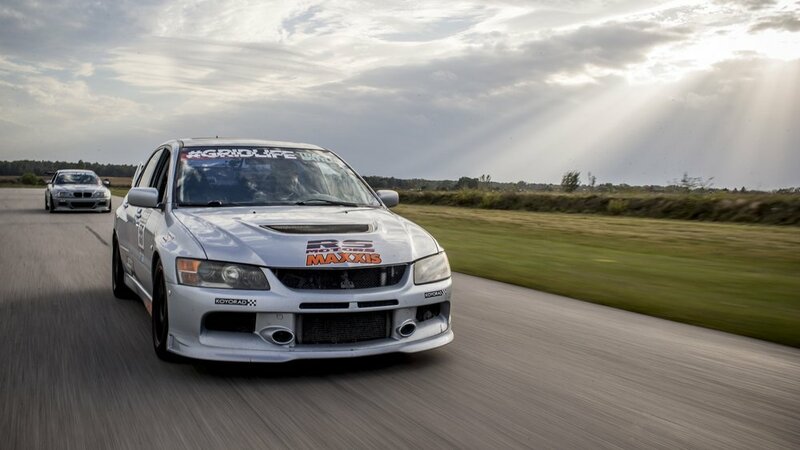 The in-car video from his record setting lap for Round 5 at Gingerman is anything but confidence inspiring. Still using the stock ECU at 620whp, this car will hugely benefit from a standalone with boost by throttle position. With seconds left to gain by continued development, I fully expect to see Tony and the rest of the pointy end of the field in track mod to be nearing the 1:30 mark by the end of 2018. Approaching 800whp for this season, I'd say anything is possible. Tony's winning recipe for 2017 wasn't complicated. Simplify, add lightness, push the limits of the stock block with a big turbo, and put it in the hands of a good driver. The build spec sheet for 2018 is more developed and shown below. Super tech springs / retainers / valves . James battled for the top spot against Unlimited class rivals all year. At that level, it's pretty clear that the drivetrain delineation that we have is basically meaningless. Depending on the track layout, any configuration may be battling for the top spot overall. James brought his A-game this year with new aero developments from Professional Awesome improving an already capable time attack weapon. While the aero was doing its job during the twisty sections, a lack of horsepower and torque (relatively) made it challenging to contend for FTD at big power tracks like Mid-Ohio and Road Atlanta. That never seems to stop him from having a good time though. Once the track goes cold, you can find him hanging out and having a good time with the rest of the Gridlife family. Not one to take himself too seriously, you might see him in the paddock drinking from the watermelon half in his hand, while also wearing one on his head. This is the kind of build that it takes to be competitive in the Unlimited class. Pulling out all the stops is critical to be at the front of the field. Tuned to the absolute limit, these teams put all their effort into a few choice laps to preserve the health of the car throughout the season. If conditions aren't perfect for a record setting lap, it's typical to see the unlimited drivers save the cars for prime time. With an exhaustive build list like this, its no wonder that drivers choose to make sure their laps really count.